Cognitive Behavior Therapy Institute of Manitoba Inc. (CBTI) is a not- for profit clinic established in 2002. 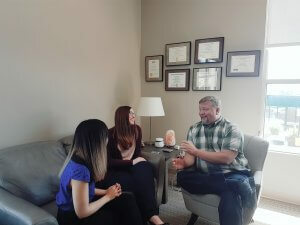 From its two offices in Winnipeg, CBTI provides affordable psychological treatment. Cognitive behaviour therapy is a goal-oriented therapy based on the ideas that our thoughts have a major influence on our emotions and our behaviour and our behaviours can strongly influence our thoughts and emotions. CBTI works with Manitoba Child and Family Services to provide service to children in care and living in group homes. CBTI also works with Manitoba Corrections to provide services to incarcerated individuals and donates services to some low income clients. The Jubilee Fund provided a loan guarantee to assist with leasehold improvements at their new North End Winnipeg location.